Swiss diver Hannes Keller set a new depth record off the coast of Santa Catalina Island, California. On the 3rd of December 1962 together with Peter Small descended to 300 meters / 1000 feet. 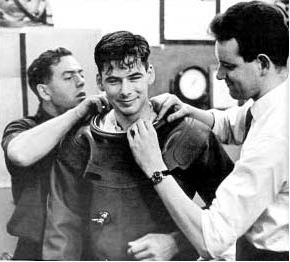 This record dive turned out to be tragic with the loss of Peter Small and one of the support diver, a young student at UCLA.